Manufactured to international standards (OIML) Adam Equipment calibration weights are available in the following classes: M1, F1, E1 and E2, and in sizes ranging from 1g to 20kg. Adam provides several options for M1 class weights, including a choice of cast iron or highly polished stainless steel construction. Class F1, E1 and E2 weights are fabricated of highly polished stainless steel. 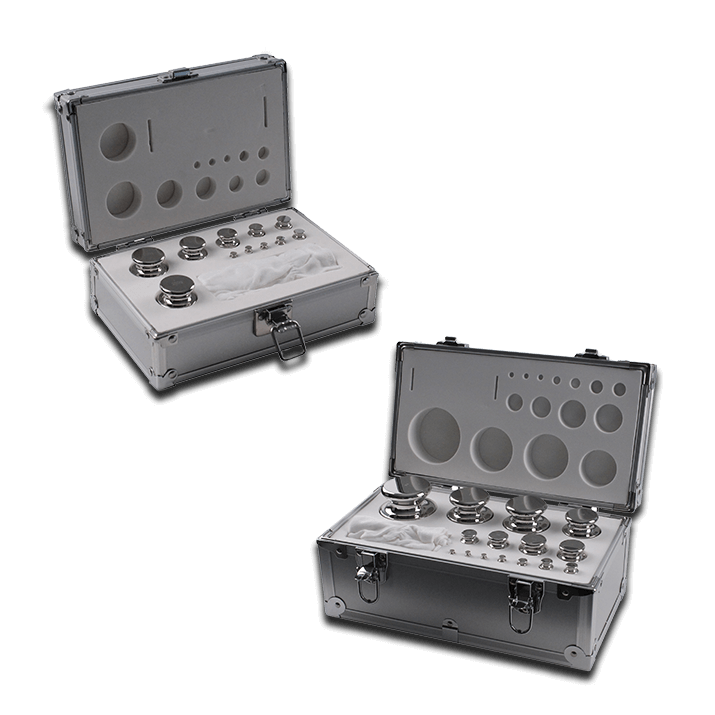 All calibration weight sets are packaged in a lined aluminum box, complete with forceps and white cotton glove.